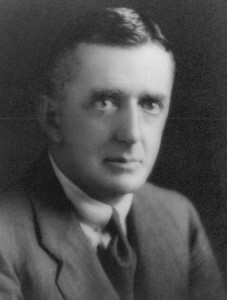 Arthur Edmund Colvin, Mayor of Orange 1923-24, 1925-29,1935. Arthur Edmund Colvin was born in 1883 at Jamberoo, near Kiama, the son of the Reverend Edmund Alexander Colvin and Gertrude Elizabeth Reynolds Colvin. He was educated at Auburn Public School, Newington College and The King’s School in Sydney; he subsequently completed a Bachelor of Medicine followed by a Master of Surgery at the University of Sydney. During 1907 and 1908 Dr Colvin was resident medical officer at Sydney Hospital. He later moved to Molong, where he set up a general practice. In September 1910 Arthur married Edith Jaques Stack from Bathurst at Concord. In January 1913 the couple relocated to Orange where Dr Colvin joined the practice of Dr Neville Howse. Following the outbreak of WWI in August 1914 Dr Colvin conducted medical examinations of volunteers at the Drill Hall in Lords Place. He enlisted for service in June 1915 and embarked from Sydney the following month, a Captain in the Australian Army Medical Corps. Captain Colvin…has done sterling work in training personnel and testing apparatus in connection with Gas precautions. He has never hesitated to expose himself when necessary, to either gas or shell fire. His methods and results have always been most creditable. Promoted to the rank of Major, Dr Colvin was transferred to the medical section of AIF headquarters in London in November 1916, where he joined Dr Howse. There his duties included attending to the welfare and rehabilitation of AIF convalescents. During his war service Colvin sent numerous letters to friends in Orange with news of their loved ones who were serving in the AIF. Many of these were published in the Leader. After the war, Dr Colvin returned to Britain to undertake further specialist training in ophthalmology. He returned to Orange in 1921 and established a highly successful specialist practice in Anson Street. At the time he was one of the few specialists in regional NSW; he treated patients from the far northern and western areas of the state and performed a number of emergency operations on accident victims. He was later joined in his practice by his cousin, Dr Clifford Colvin. In 1921 Dr Colvin was elected to Orange City Council. He was as an alderman for 21 years, serving as Mayor for nine annual terms, from 1923-30 and again in 1935. In 1932 he was elected to the NSW Legislative Council which he served on for the next 23 years. In 1935 Dr Colvin became the first chairman of the NSW Hospitals Commission; he remained a member of the Commission for many years. He was also President of the Ambulance Committee, founding the Orange District Ambulance Service – the first such service in provincial NSW. Dr Colvin’s service to his country was acknowledged by King George VI, who, in 1935, awarded him a CBE (Commander of the Order of the British Empire). During WWII Dr Colvin again volunteered his services. In 1939 he was appointed to Australian Army Headquarters as Assistant Director-General of Medical Services. In 1943 he was seconded as Medical Services Advisor to the Director-General of Manpower. Colvin retired from active Army Service in 1945 but maintained an active association with the Citizens Military Forces and was appointed Honorary Colonel of the 6th Mounted Rifles Regiment. Dr Colvin had an outstanding career as medical specialist, medical administrator, soldier, parliamentarian and civic leader. He made an enormous contribution to the progress of Orange. Colvin was a patron and office bearer of many local and district organisations and sporting clubs including the Returned Services League, Rotary, Legacy, the Spastic Centre Council, Far West Children’s Health Scheme, Orange Agricultural and Pastoral Society, Fairbridge Farm Schools, Orange Tennis Club, Western Districts Racing Association, Orange Jockey Club, Newstead Bowling Club, Emmco Sports Club and Central West Rifle Union. Dr Colvin was also a director of Western Newspapers Limited and the Central Western Daily, of which he was, for a period, also chairman. Dr Colvin retired from active medical practice in 1953, and from the Legislative Council in 1955. In August that year a testimonial dinner was held at the Hotel Canobolas in recognition of Dr Colvin’s contribution to Orange. In his address the Mayor, Ald EWF White, said that no man had given greater or more effective service to the city than had Dr Colvin, with his “leadership, vision, tenacity and love of Orange.” He then listed his many achievements, including the supply of electricity to Orange, the establishment of the Spring Creek water supply and the construction of the Orange Base Hospital. In 1959 Dr Colvin and his wife left their home in Kite Street and retired to Sydney. They were frequent visitors to Orange, and always expressed a keen interest in the city’s progress. Arthur Edmund Colvin died in Sydney in August 1966. The Central Western Daily declared in his obituary: “Dr Colvin clearly contributed more to the progress of Orange and district than any other citizen in its history.” In an obituary in the Medical Journal of Australia Dr Kenneth Starr recalled his colleague as “urbane, tolerant, gregarious, intelligent, far-sighted and skilled in negotiation, charitable, unselfish, aristocratic by nature but democratic in behaviour”. Dr Colvin is commemorated on the Holy Trinity Church Orange Honour Roll and the Orange Golf Club Honour Roll. In 1929 Colvin Gardens (later Colvin Park) on Bathurst Road was named in his honour. In February 1966 the Orange Regional Training School for nurses was opened and named the Dr AE Colvin Nurses’ Training School in recognition of Dr Colvin’s contribution to medicine in Orange. Leader, 23 June 1915, p. 2. * Central Western Daily 1966 ‘Dr AE Colvin dies in Sydney: end of an outstanding career’, 22 August, pp. 1, 5. * Central Western Daily 1966, ‘MLC’s tribute to Dr Colvin’, 26 August, p.7. * Notes for a history of Orange compiled by John Miller (1995-1997). Unpublished. This entry was posted on June 23rd, 2015.